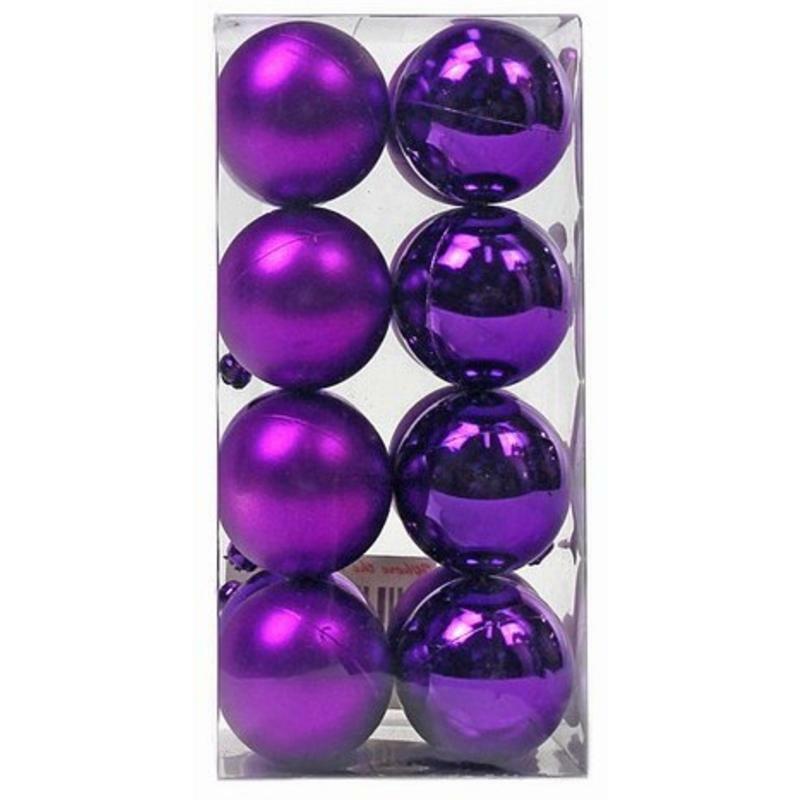 Each package of fine shatterproof 40mm Purple Baubles provides the buyer with sixteen stunning purple ornaments in two different finishes- matte and shine. This allows you to mix and match your Christmas Decorations to suit your decor, tree, or theme when using them around the house. Hang them from the simple prefabricated hanger near the top, or tie them to a package or suspended from a window with ribbon. There are so many uses for these practical and conventional ornaments! The colour is what truly makes them something special. Purple looks regal when paired with gold, or pair with pink to give the home a modern, contemporary twist. Try matching it with some of the stunning tinsel garland which is also offered and sold separately, for a unique colour theme that is all your own!